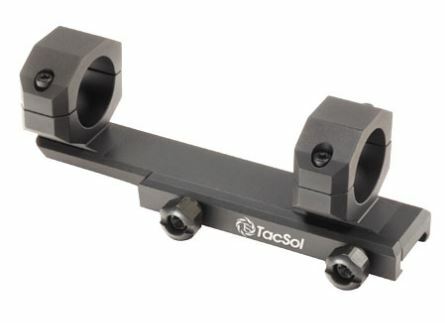 New for 2014 is the Edge scope mount: The only medium height, cantilever style mount designed for the 10/22® rifle. The Edge fits seamlessly on the 10/22® receiver as well as other rifles that are utilizing a full length Picatinny rail. The Edge mount positions the front ring forward on the upper receiver by 1 3/4” allowing optics to be mounted further, allowing the shooter to position their head in the proper position. The Edge scope mount allows the user to remove the optics from the rifle then reattach it without the loss of zero.